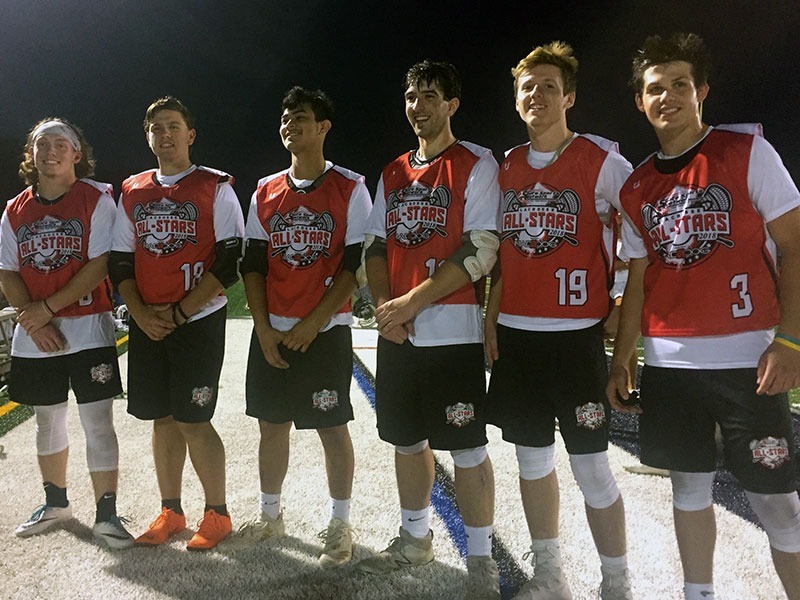 Toms River East and Toms River South were well represented in the 2018 Shore Conference Lacrosse Coaches Association (SCLCA) Senior All-Star Game. The event featured some of the top senior lacrosse players from Monmouth and Ocean Counties. The game was played at Howell High School on Thursday, June 14. The TRRS student-athletes represented the South team, and they won 14-13! Pictured from left to right are Evan Otten, Anthony Marinelli, Sal Esposito, Declan Mullin, Connor Ryan, and Matt Gannon.